It took me a day at TEDxBrixton to fall in love with South London’s hottest shipping container street food venue, Pop Brixton. Here’s what to do in the latest outpost of the capital’s good vibes. Not unlike its Shoreditch brother The Boxpark on the outside, Pop Brixton is way cooler and much less touristy, showcasing some of the most innovative products across street food, art, technology, furniture and many more. 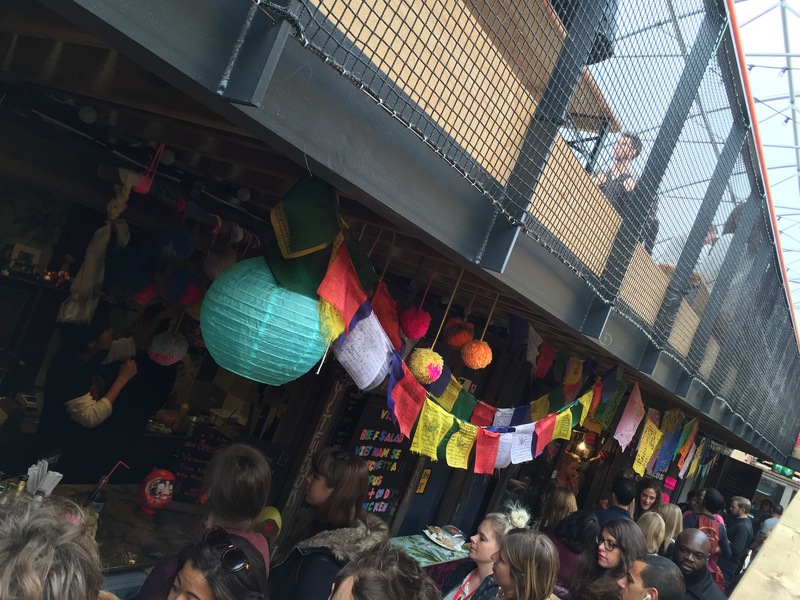 Run in partnership with TEDxBrixton, Pop Brixton was buzzing last month during the conference, thanks to which attendees could grab a 15 per cent discount off all the street food traders. And there was plenty of food on offer, including the renowned Zoe’s Ghana Kitchen It’s Ghana Be Tasty, Miss P’s Louisiana BBQ and Baba G’s serving up an Indian and British food fusion. 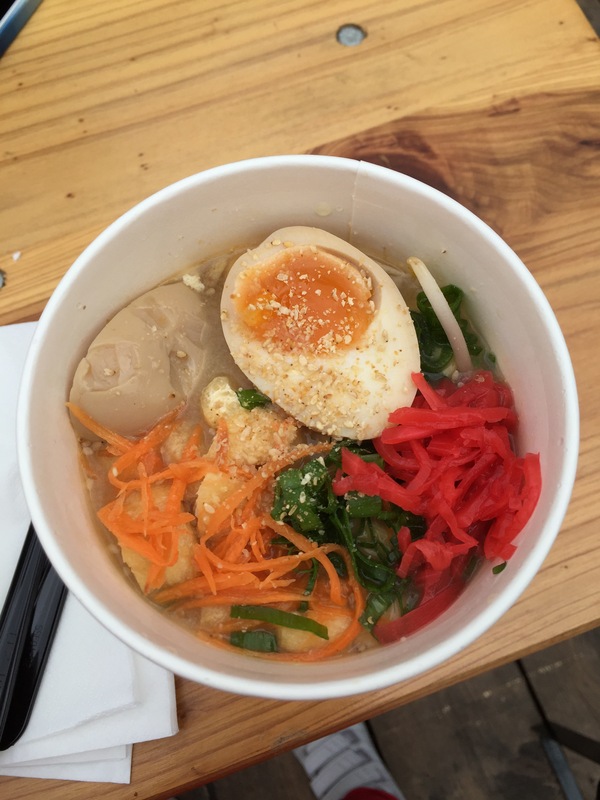 My personal favourite though was KOI’s ramen bar, where I had an incredibly tasty and heart-warming veggie ramen with tofu and eggs. As well as over 20 mouth-watering food and drink vendors, Pop Brixton boasts a diverse selection of independent retail outlets. From vintage clothing sellers Make Do & Mend through to Japanese tea house, Kyocha, Pop Brixton is a unique shopping destination full of hidden gems. And since street food doesn’t always need to mean extra weight piling on our thighs, Pop Brixton also hosts yoga and pilates every week. Pop Brixton, commissioned by Lambeth Council, has been designed by award-winning Carl Turner Architects in partnership with The Collective. It’s a project to support local jobs, training and enterprise. Showcasing the best and most exciting independent start-ups and businesses from Brixton and Lambeth, Pop Brixton is a space for next generation of local food and drinks entrepreneurs, retail outlets, workspaces for local business and artists, tech enterprises and a community event space. So move over East London: Pop Brixton is where it’s at right now to get to know and feel inspired by the next generation of food and tech entrepreneurs… And why not, to fill your belly up with some decent grub while enjoying the cool vibes. What does eating at the Chiltern Firehouse feel like?